iKimchi... you kimchee we all scream for kimchee! “Kansa ham nida” I said. “You speak Korean?” The woman asked as she handed my lunch and chop sticks in a plastic bag. “No, but I speak the food fluently.” A while back Alex, the young man managing the orders told me that they just called themselves the Korean food cart at 24th street and Park. 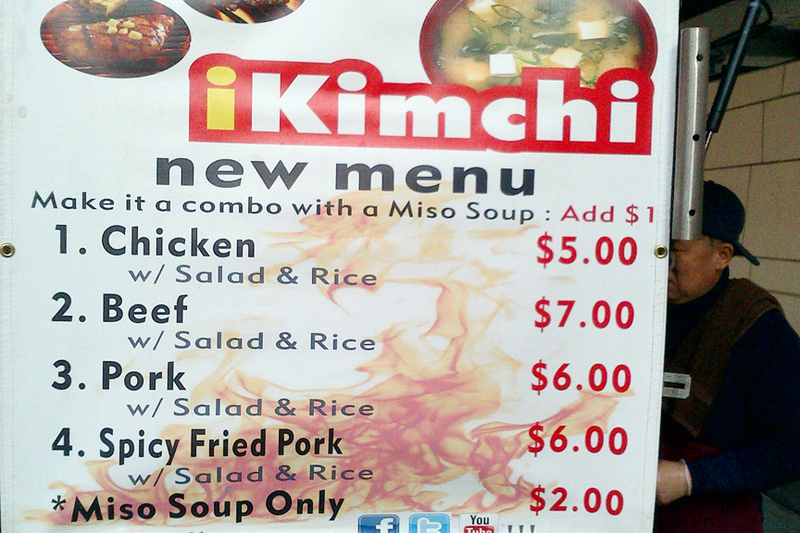 But now my favorite Korean food stand finally has a name, iKimchi! Their new menu is sleek, the price is right, the portions are very generous and most of all the food is very good. 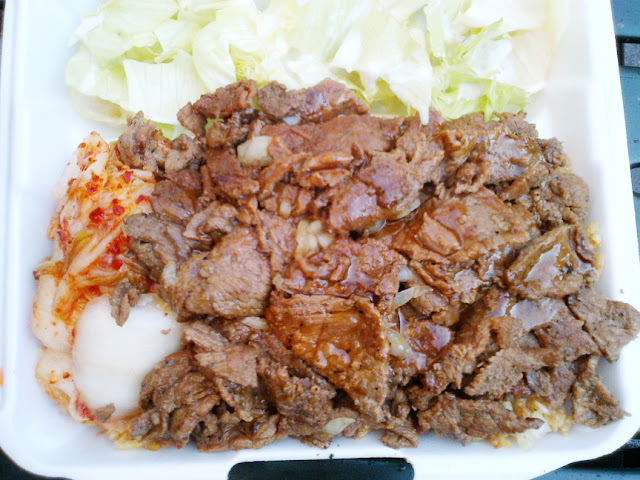 I had to wait until my meeting was over and all I could think was “I hope they still have bulgogi when I get out.” They actually just started a fresh batch when I got there, short wait but worth the time. For $7 I treated myself to a hot Korean BBQ lunch box ($1 extra for miso soup). So if you find yourself short on time, wandering hungry around Park Avenue near 24th street, stop for a hot delicious meal at the iKimchi food cart. Be sure to ask for extra kimchee.